Ksenia Dolgaleva earned her Diploma in Physics from Moscow State University, Russia. 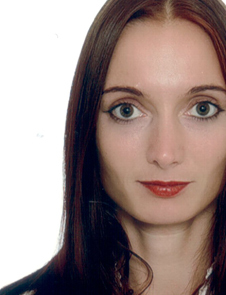 She was awarded a prize for an outstanding undergraduate thesis from Russian Physical Society for her theoretical work on “Wavelength channel competition in a two-colour solid-state Nd:YAG laser.” Ksenia Dolgaleva has obtained her Ph.D. in Optics at the Institute of Optics, University of Rochester, USA in 2009. She has earned a prize for an outstanding student presentation at the Frontiers in Optics Optical Society of America Annual Meeting in Rochester in October 2008 for her presentation on “Experimental separation of microscopic cascading induced by local-field effects.” Professor Dolgaleva has been a postdoctoral fellow at the Department of Electrical and Computer Engineering, University of Toronto from March 2009 until June 2013, holding Mitacs Elevate postdoctoral fellowship from April 2011 until October 2012. During her career, Professor Dolgaleva has published and co-authored around 20 articles in refereed journals, and trained 8 undergraduate and graduate students during her Ph.D. and postdoctoral studies. She has joined theSchool of Electrical Engineering and Computer Science in July 2013 as an Assistant Professor and as a member of the Canada Excellence Research Chair team lead by Professor Robert Boyd at the University of Ottawa. Ksenia Dolgaleva is currently in the process of starting her research group and is looking to hire promising undergraduate and graduate students interested at performing research in Optics and Photonics.